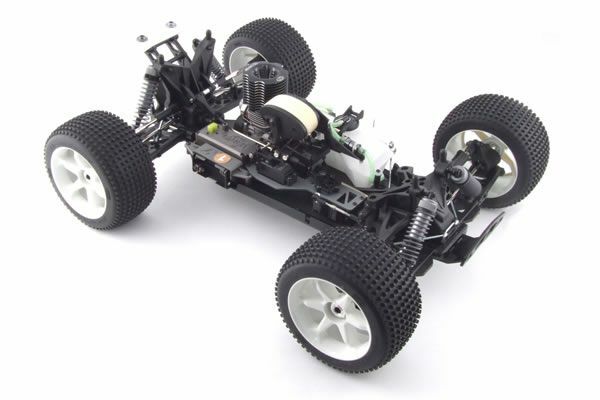 This ST is based on the 1/8th rallycross buggyplatform, specifically the competition winning HoBao Hyper buggy range. 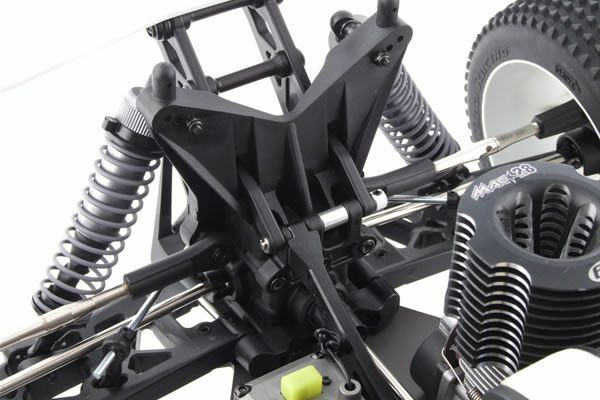 Looking at it you can see a combination of both the Hyper 7 and 8 parts in there, as well as some brand new touches designed specifically for the truggy racing scene. 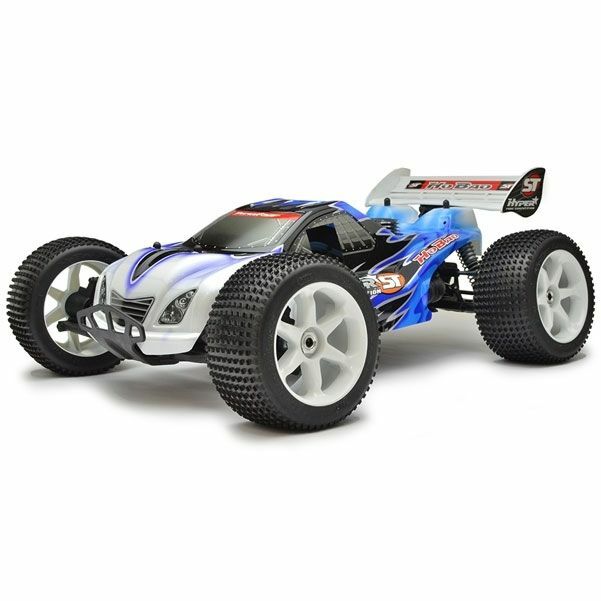 This is the Ready-To-Rip version, pre-assembled with MacStar .28 engine, radio and 9kg steering servo and 6kg throttle/brake. 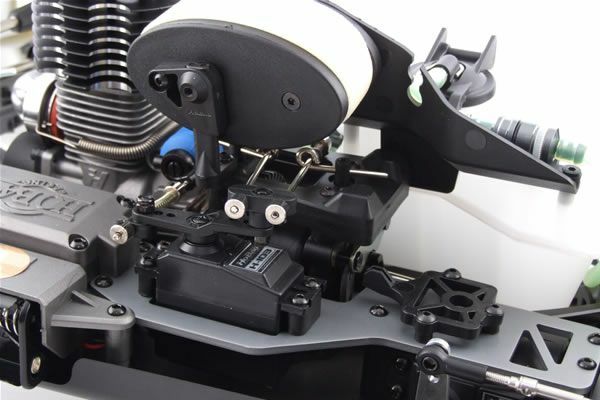 The MacStar 28 has an enormous black cooling head which is seperated from the cylinder head button by 2 washers. 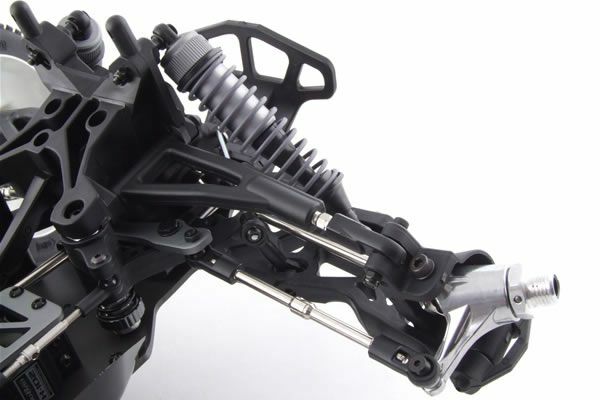 This makes for a user friendly engine which is easy to start.The tuned alloy silencer bolsters the motors performance and the lightweight clutch offers good grip for maximum power transfer.